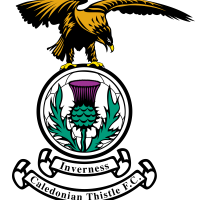 It ended even stevens between ICTFC and Dundee United on Saturday, as a goal apiece from Tom Walsh and Billy King either side of half time was all that could separate the teams in a tight affair. George Oakley and Sean Welsh returned to the first team line-up, replacing Charlie Trafford and Jordan White for the visit of the Dundee United. Siegrist, Smith and King returned to the starting line up for the visitors, with the latter facing his former employers. Throughout the game, both teams passed the ball with ease in the first 2/3s, but each team managed to stifle the other in creating enough chances to win the game comfortably. The first chance for ICTFC fell to an in-form Tom Walsh, who hoped to continue a great run of goals in recent games. A free-kick from Polworth at the 13th minute was weakly headed clear by Dundee United and the ball fell to Walsh on his right foot near the edge of the box. His typical shooting composure was affected by the many bodies around him and he snatched at the half volley – the effort swung away from goal and out for a goalkick. But the same couldn’t be said six minutes later. Joe Chalmers had a great run through the middle of the park and passed to Polworth a little further ahead. Spotting a great run in space from Walsh on the right hand side, he slipped him through with a delicate pass and the winger had no objections in finishing past Siegrist with a far post attempt. It was Walsh’s fifth goal in five games for the Caley Jags, who had great joy finishing off moves from through balls. Shortly after, ICT tried to take advantage at a breakaway. Walsh, Doran and Oakley sprinted forward after a botched corner from United. Walsh collected the ball in space and almost set up Doran in a similar position to the first goal, but his marker was too close and prodded the ball back to the keeper. The hosts were starting to dominate the spread of chances, with Joe Chalmers taking his turn to have a crack at goal a minute later. Oakley was knocked to the ground and the Caley Jags had a freekick from a great position – perhaps 25 yards away. With the ball positioned to the right of the box, the former Celtic midfielder took the set piece and Chalmers’ effort was whipped from left to right but it was too floaty and didn’t dip back down enough. But having scored from a Safranko header in the previous game between the teams, Dundee United was always going to threaten from the air; they almost equalised in a similar fashion. Aird took a corner from the far side and Sakranko met the cross at the far post. His head was hard and on target and Ridgers squirmed to block the shot. It was a good save from the Caley Jags number one. Perhaps emboldened by that great chance, Dundee United started to become confident and continued to prod the host’s backline. Former player, Billy King absorbed a challenge near the edge of the box to set up Air on the left hand side for a cross. The Candian hit the ball first time and Safranko again leaned to direct his header on target, but Ridgers was equal to it. Mark Ridgers made an even better save as Dundee United had the last big chance of the second half. Instead of the big Slovakian, Smith was the next recipient from an Aird cross and the winger took it well on the half-volley. The sweetly struck effort was destined for the top corner, but a finger tip save was enough to prevent it from rippling the back of the net. The second half’s chances were fewer as each team started to get a grip of the other’s gameplay. Again Dundee United looked most likely to get on the scoresheet with a header. Pavol Safranko met a corner from the far side and the ball bounced before heading towards the post. It looked to have trickled in, but it just went wide of the target. But a familiar face was the one to ripple the net for the visitors. Before then, Billy King was having a hard time breaking down the Caley Jags’ defence, but his long-range effort from outside the box seemed to catch Ridgers out. His left footed effort was low and beat the goalkeeper to the post and his celebration was subdued in respect to his former employers. The game ended 1-1, with neither side able to take advantage of some great chances. 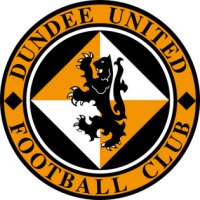 DUFC: Siegrist; Booth, Frans, Bouhenna, Murdoch; Aird (McMullan 63′), Fyvie (Rabitsch 89′), Stanton, King; Safranko, Smith (Curran 70′).